Thank you for choosing our endodonitc office for your root canal related needs. We are a referral-based specialty dental practice. Dr. Kevin Li is a board certified endodontic specialist. An endodontist is a dental specialist who specializes in treating root canal related dental conditions. 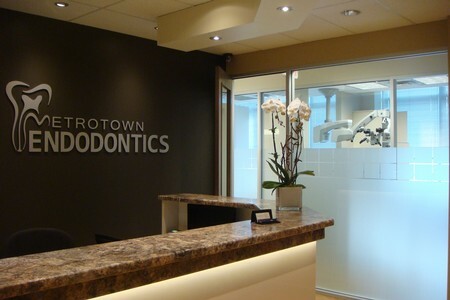 Metrotown Endodontics are located at the center of Metrotown, Burnaby with easy Skytrain and bus access from everywhere in the lower mainland and great Vancouver area. Free outdoor parkings are available right beside our office. Dr. Li will work closely with your dentist to provide you with the best personalized and specialized root canal service.